After a long absence, gangster and father Ulysses Pick (Jason Patric) arrives home to a house haunted with memories, towing the body of a teenaged girl and a bound and gagged young man. His gang waits inside his house, having shot their way past police. There is friction in the ranks. Ulysses, however, is focused on one thing: journeying through the house, room by room, and reaching his wife Hyacinth (Isabella Rossellini) in her bedroom upstairs. The equilibrium of the house has been disturbed and his odyssey eventually becomes an emotional tour, as the ghostly nooks and crannies of the house reveal more about the mysterious Pick family. 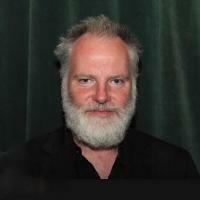 Guy Maddin is a Canadian screenwriter, director, cinematographer and film editor of both features and short films from Winnipeg, Manitoba. His most distinctive quality is his penchant for recreating the look and style of silent or early sound era films which has solidified his popularity and acclaim in alternative film circles.